"Haneda" redirects here. For the neighborhood of ta, Tokyo, see Haneda, ta, Tokyo. Tokyo International Airport (, Tky Kokusai Kk), commonly known as Haneda Airport (, Haneda Kk), Tokyo Haneda Airport, and Haneda International Airport (IATA: HND, ICAO: RJTT), is one of the two primary airports that serve the Greater Tokyo Area, and is the primary base of Japan's two major domestic airlines, Japan Airlines (Terminal 1) and All Nippon Airways (Terminal 2), as well as Air Do, Skymark Airlines, Solaseed Air, and StarFlyer. It is located in ta, Tokyo, 14 kilometres (8.7 mi) south of Tokyo Station. Haneda handled 85,408,975 passengers in 2017; by passenger throughput, it was the third-busiest airport in Asia and the fourth-busiest in the world, after HartsfieldJackson Atlanta International Airport, Beijing Capital International Airport (Asia's busiest), and Dubai International Airport. It is able to handle 90 million passengers per year following its expansion in 2010. With Haneda and Narita combined Tokyo has the third-busiest city airport system in the world, after London and New York City. Haneda Airfield (, Haneda Hikj) first opened in 1931 on a small piece of bayfront land at the south end of today's airport complex. It was Japan's largest civil airport at the time it was constructed, and took over from the army air base at Tachikawa as the main operating base of Japan Air Transport, then the country's flag carrier. The first flight from the airport on August 25, 1931 carried a load of insects to Dalian. A third terminal for international flights was completed in October 2010. The cost to construct the five-story terminal building and attached 2,300-car parking deck was covered by a private finance initiative process, revenues from duty-free concessions and a facility use charge of ¥2,000 per passenger. 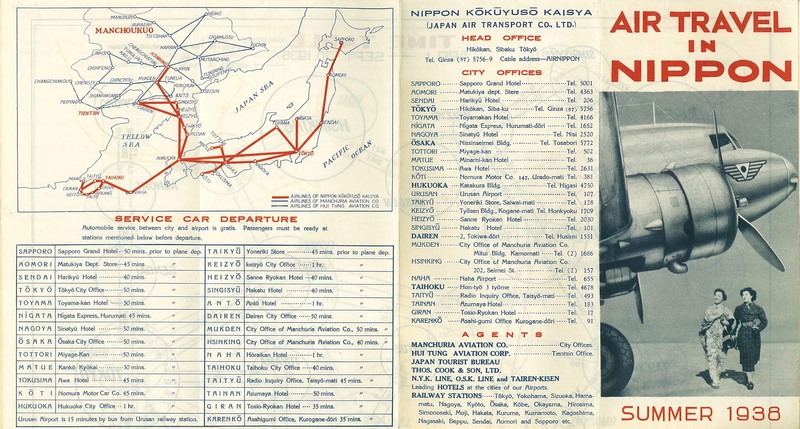 Both the Tokyo Monorail and the Keiky Airport Line added stops at the new terminal, and an international air cargo facility was constructed nearby. The fourth runway (05/23), which is called D Runway, was also completed in 2010, having been constructed via land reclamation to the south of the existing airfield. This runway was designed to increase Haneda's operational capacity from 285,000 movements to 407,000 movements per year, permitting increased frequencies on existing routes, as well as routes to new destinations. In particular, Haneda would offer additional slots to handle 60,000 overseas flights a year (30,000 during the day and 30,000 during late night and early morning hours). In addition to its international slot restrictions, Haneda remains subject to domestic slot restrictions; domestic slots are reallocated by MLIT every five years, and each slot is valued at 23 billion yen in annual income. The Ministry of Land, Infrastructure and Transport is planning a new road tunnel between the domestic and international terminals in order to shorten minimum connecting times between the terminals from the current 6080 minutes. On March 5, 1966, less than 24 hours after the Canadian Pacific crash, BOAC Flight 911, a Boeing 707436 registered G-APFE, broke up in flight en route from Haneda Airport to Hong Kong Kai Tak Airport, on a segment of an around-the-world flight. The bad weather that had caused the Canadian Pacific crash the day before also caused exceptionally strong winds around Mt. Fuji, and the BOAC jet encountered severe turbulence that caused the aircraft to break up in mid-air at an altitude of 16,000 feet (4,900 m), killing all 113 passengers and 11 crew. The debris field was over 16 kilometres (10 mi) long. Although there was not a cockpit voice recorder on this aircraft or any distress calls made by the crew, the investigators did find an 8mm film shot by one of the passengers that, when developed, confirmed the accident was consistent with an in-flight breakup and loss of control due to severe turbulence. There is a famous photo of the BOAC plane taxiing past the still smouldering wreckage of the Canadian Pacific DC-8 as it taxied out to the runway for its last ever takeoff. All three passenger terminals are managed and operated by private companies. Terminal 1 and 2 are managed by Japan Airport Terminal Co., Ltd. (, Nippon Kk Birudingu Kabushikigaisha), while International Terminal is managed by Tokyo International Air Terminal Corporation (, Tky Kokusai Kk Tminaru Kabushikigaisha). The critical facilities of the airport such as runways, taxiways and aprons are managed by Ministry of Land, Infrastructure, Transport and Tourism. As of March 2013, domestic terminals have 47 jetways altogether. The Japan Coast Guard operates a Special Rescue Base (, Dai-san Kanku Kaij Hoan Hombu Haneda Tokushu Kynan Kichi) at Haneda, which is used by the Special Rescue Team, an elite 36-member aerial and underwater rescue unit. Haneda Airport is approximately 1.5~2 hours from Narita Airport by rail or bus. Keisei runs direct suburban trains (called Access Express) between Haneda and Narita in 93 minutes for ¥1800 as of February 2019. There are also direct buses between the airports operated by Airport Limousine Bus. The journey takes 6585 minutes or longer depending on traffic and cost ¥3000 as of May 2012. Haneda Airport is served by the Keikyu and Tokyo Monorail. The monorail has two dedicated stations (Haneda Airport Terminal 1 Station and Haneda Airport Terminal 2 Station), Keiky operates a single station between the domestic terminals (Haneda Airport Domestic Terminal Station), and both lines stop at the International Terminal Station. Keiky offers trains to Shinagawa Station and Yokohama Station and through service to the Toei Asakusa Line, which makes several stops in eastern Tokyo. Some Keiky trains also run through to the Keisei Oshiage Line and Keisei Main Line, making it possible to reach Narita International Airport by train. Airport Limited Express trains make the nonstop run from Haneda Airport to Shinagawa in 11 minutes. Tokyo Monorail trains run between the airport and Hamamatsuch Station, where passengers can connect to the Yamanote Line to reach other points in Tokyo, or Keihin Tohoku Line to Saitama, and have a second access option to Narita Airport via Narita Express, Airport Narita, or Sbu Line (Rapid) Trains at Tokyo Station. Express trains make the nonstop run from Haneda Airport to Hamamatsuch in 16 minutes. Hamamatsuch Station is also located adjacent to the Toei Oedo Line Daimon station. ^ a b "Tokyo Haneda airport Economic and social impact". Ecquants. Retrieved September 7, 2013. ^ "". Nihon Keizai Shimbun. 30 March 2014. Retrieved 31 March 2014. ^ "". www.city.ota.tokyo.jp (in Japanese). Retrieved 2017-03-15. ^ a b c d e f g h i Imoto, Keisuke. "". . Retrieved 28 November 2013. ^ "". . 15 November 2013. Retrieved 15 November 2013. ^ , (13 August 2012). "". NHK. Archived from the original on 3 December 2013. Retrieved 28 November 2013. 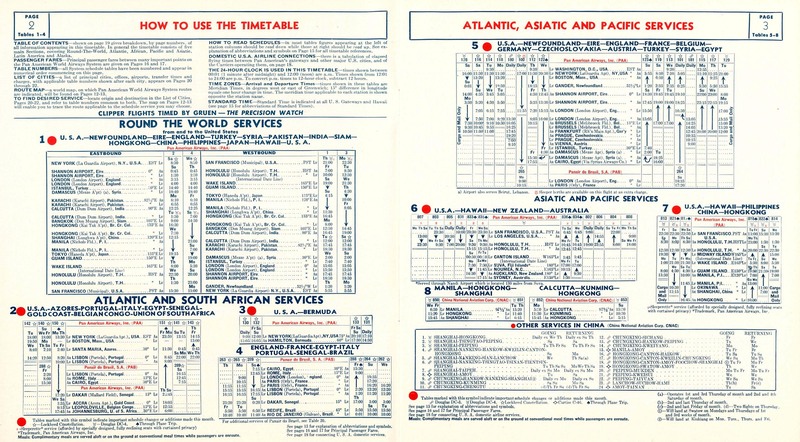 ^ "1947 July 3 Northwest Airlines Timetables, Route Maps and History". Airways News. Archived from the original on 4 March 2016. Retrieved 11 August 2015. ^ "60 ". Retrieved 4 June 2015. ^ "All sizes Narita 1966_0005 Flickr Photo Sharing!". Retrieved 4 June 2015. ^ [permanent dead link], Mainichi Shimbun, June 11, 2008. ^ " ". Retrieved 4 June 2015. ^ "36". . 26 December 2014. Retrieved 29 December 2014. ^ "". . 10 September 2013. Retrieved 10 September 2013. ^ "". . 9 November 2013. Retrieved 11 November 2013. ^ "". SankeiBiz. 10 January 2014. Retrieved 17 January 2014. ^ " ". Nihon Keizai Shimbun. 1 July 2015. Retrieved 2 July 2015. ^ "". . 22 September 2013. Retrieved 24 September 2013. ^ "". Nihon Keizai Shimbun. 24 August 2015. Retrieved 25 August 2015. ^ Case Study on Commercialization, Privatization and Economic Oversight of Airports and Air Navigation Services Providers Air Transport Bureau, Economic Analysis and Policy (EAP) Section, ICAO. 31 January 2012. ^ Yoshikawa, Tadayuki (29 January 2014). "". Aviation Wire. Retrieved 30 January 2014. ^ "". The Nikkei. 24 September 2015. Retrieved 25 September 2015. ^ "JAL ". Japan Airlines. Retrieved 25 September 2015. ^ "." ANA Wings. Retrieved on March 27, 2015. " 1448515 3-3-2"
^ "". Japan Coast Guard. Retrieved 25 September 2015. ^ EastarJet adds Seoul Incheon Tokyo Haneda in Sep/Oct 2018 Routesonline. 20 August 2018. ^ "Jeju Air adds Seoul Incheon Tokyo Haneda service from August 2018". routesonline. Retrieved 20 August 2018. ^ For 2006 to 2015: "" [Yearly airport management statistics report] (PDF) (in Japanese). Ministry of Land, Infrastructure, Transport and Tourism. 17 August 2016. p. 6. Archived from the original (PDF) on 21 October 2016. Retrieved 13 October 2016. ^ For 2003 to 2012: "" (PDF). Ministry of Land, Infrastructure and Transport. Archived from the original (PDF) on 1 November 2013. Retrieved 1 April 2014. ^ " 28" (PDF). Ministry of Land, Infrastructure, Transport and Tourism. This article based on this article: Tokyo_International_Airport from the free encyclopedia Wikipedia and work with the GNU Free Documentation License. In Wikipedia is this list of the authors .